2-sheets made to form a single set. This clear poster features satisfyingly large B2 size. Peel off the first layer and... Oh, my goodness! A nirvana attainable only to the ladies and gentlemen who own this poster lies within!! 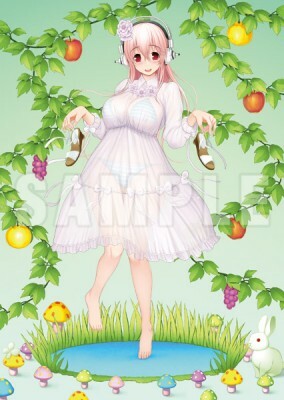 Make no mistake, this original illustration is by none other than Santa Tsuji himself! Limited to a purchase of 3 items per person. First released at Comic Market Summer 2013.